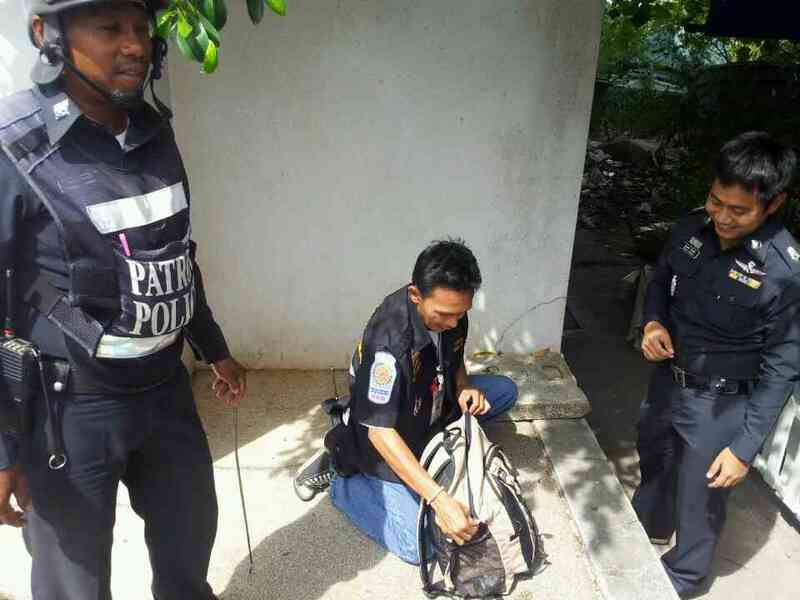 PHUKET: Staff from Kasikorn bank and Phuket Town locals breathed a collective sigh of relief yesterday afternoon (January 10) when the police came to reveal that the insides of a 'suspicious backpack' left at the branch was in fact not a bomb, but women's clothes. Smiles all around as it was relieved to be a false alarm. The report was made after a local lottery ticket seller saw a woman putting the backpack down on the floor after putting items in it. The street vendor, along with his friends decided to run away and call the police.